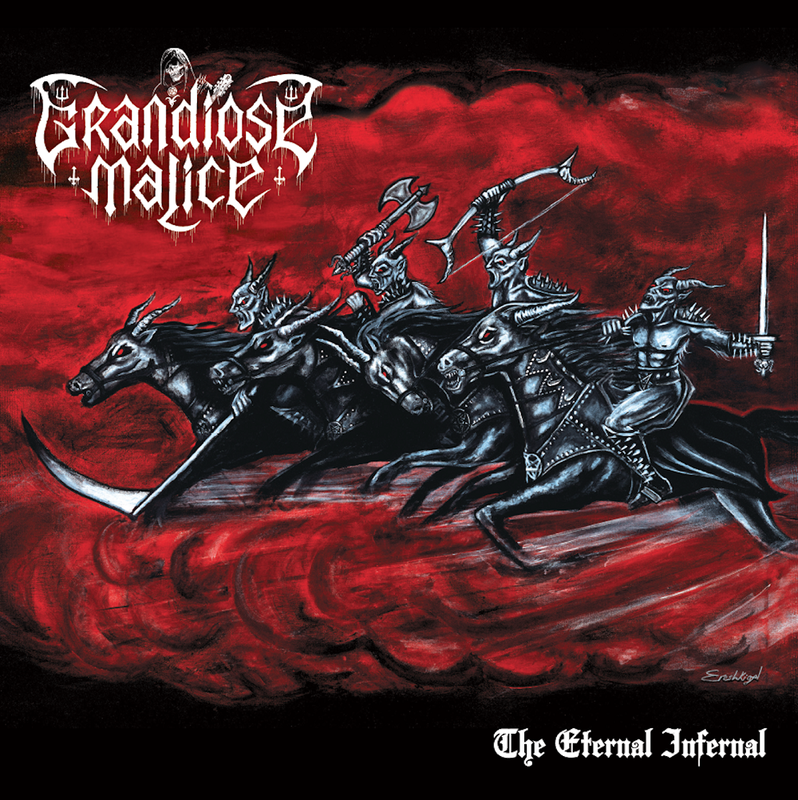 The Lair of Filth: Grandiose Malice - The Eternal Infernal - Press Release + Track Stream. Before his untimely passing, Childers was working on a new solo-project, and had a demo for it. He sent the demo to a few close friends for feedback, but tragically, it was never released. Within days of his death, Demonic Christ's Dana Duffey (who received the demo tracks from Steve) reached out to Joel Bagley, Steve's best friend, to discuss making sure Steve's work would not be forgotten and be given a proper release on a killer underground label done the way Joel and Dana feel Steve would have wanted it. After shopping labels, they landed on Hells Headbangers, who were eager to be a part of making sure Steve's legacy lived on. Steeped deep in the metal underground, Hells Headbangers were honored to be a part of this release, understanding its significance. With cover art by cult artist Ereshkigal (donated, no less) and a logo by the legendary Chris Moyen (who was friends with Steve and had worked with Black Witchery), the table was set to make this "would-be lost project" become what will one day certainly be revered as one of the best extreme metal releases from the USA! 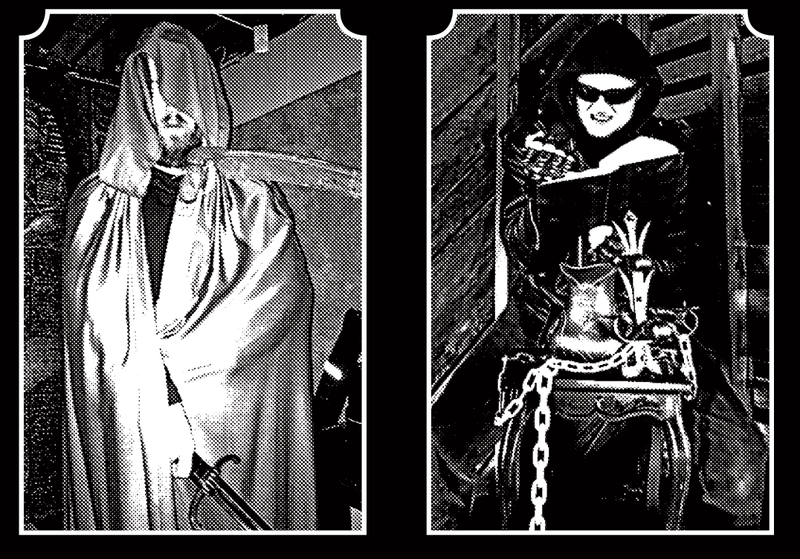 Featuring Steve on guitar and bass and Matt Glaser on vocals and drums, 'The Eternal Infernal' was recorded over the course of October-December 2015 at the Cloudy Eye Tavern studio. 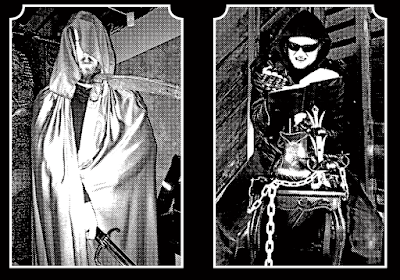 With Steve's trademark savagery all across the record, it was then up to Joshua Freemon (Demonic Christ/Hellgoat), a longtime supporter and friend of Steve's, to make this recording an album, not a demo, through his mastering expertise. Chock full of that trademark style of savage simplicity, as well as some surprising but no less extreme twists he hadn't explored in Black Witchery, Grandiose Malice's 'The Eternal Infernal' serves to forever preserve Steve's musical freedom, his talent, and his undying love for music. He is missed by many, and undoubtedly, he is giving the horns from wherever he is as we pay homage to a legend! 01 - R U Hexperienced? 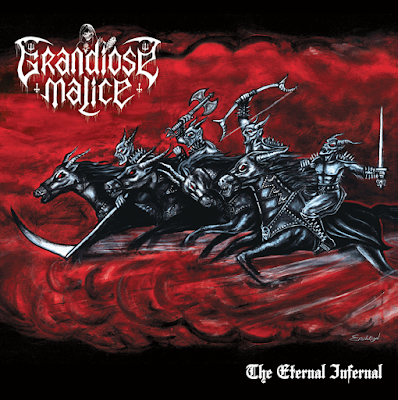 'The Eternal Infernal' by Grandiose Malice will be released on CD + LP by Hells Headbangers on the 30th of March and is available to pre-order by following this link.